In a recent Kennel Club report, all critics of pedigree dog breeding were collectively termed 'anti-pedigree dog'. I am a stern critic of some aspects of pedigree dog breeding but find this new label hard to wear. For the last thirty years or so, alarmed by the unsoundness of many breeds of purebred dog, both genetically and anatomically, I have, with others, campaigned for more responsible breeders and for better systems to monitor the irresponsible ones. I have also repeatedly expressed concern for the loss of true type in many of our long-established native breeds. I don't believe you can do this without having considerable affection for the breeds concerned. What I am very anti is the failure of those in authority to act when they have the resources to do so. Being in office but not in power is surely an unwanted tag; the chairman of the KC claims that he wants that club to be the first port of call for all matters canine. The KC secretary wrote a letter to the dog press claiming that the KC is the governing body in dogs; why then do they not govern? Before such a club can make justifiable sustainable claims, it has to be in position of strength, to be able to say 'Look what we have done in the world of the pedigree dog, we could do the same for all dogs'. You would have to look around you before supporting such a statement, if ever made. If you prize, say, our native gundog breeds and have an interest in seeing them perpetuated in their classic mould, then, even if you don't show dogs, it's worth a visit to a conformation dog show for them from time to time. I would recommend an outdoor show; the dogs enjoy it more and the setting is far more appropriate. For as long as sixty years, I have been visiting the Bath Dog Show, now held at a marvellously rural setting at Bannerdown, between Bath and the M4 motorway. I believe that this location, thanks to the vision of Labrador breeder Geoff Waring and his wife, is now owned by the Bath Canine Society. I first attended as an early-teens kennelboy to a Bath vet, who was also the show vet, in the late 1940s. I have long been appreciative of the instruction I received on breed-points and the conformation of the dog whilst touring such a show with my employer vet and his then fellow Bath vet, Manson Baird, the Deerhound breeder. They would not have approved the 2007 gundog entry I saw at their old show. Sadly the foreign gundog breeds were more impressive than ours, although the Weimaraners ranged from oversized specimens to distinct weeds. The Brittanys I admired; the German pointers looked the fittest, especially the wire-hairs; the Spinoni lacked muscular development, which gives any sizeable dog very ugly movement. The Vizslas varied undesirably, some over-boned, some too fragile, with wide variations too in the movement, perhaps because many were stiff-hocked, some were loose in the shoulder and a few were lacking coordination on the move. This can come from a mis-match between the fore and hindquarters, with weakness at the back making the dog pull itself along. It should always be a joy to see a sporting breed moving, without effort, using that appealing slingy action, with real spring in the step, feet hardly leaving the ground, shoulders moving freely and genuine power coming through from the rear. The absence of this in some of our native gundog breeds on display made dismal viewing. I don't think I've ever seen so many poor setters in one place, Irish Setters especially. This is such a handsome breed, and when soundly constructed and in top condition, is a joy to observe. The distinctive coat saved some of them from being Salukis! But then some of the Pointers on display resembled dish-faced Greyhounds. The clear lack of muscular development made me wonder if these dogs ever got exercised. Their slab-sidedness made me wonder if their breeders themselves had ever strode out across a moor and experienced the lung-power needed for sustained field work. Today's Pointers are Whippets compared to their ancestors, which were much more houndlike and strongly-made. 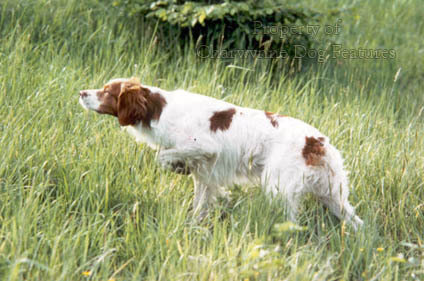 But an even more worrying feature in the Pointers and setter breeds was the presence of upright shoulders. What was truly depressing was to witness dogs being awarded cards with such a handicap. A front action like a carriage horse is not a pretty sight in bird-dog breeds once revered the world over for their stamina. The spaniels however cheered me up! There were some excellent Cockers, English Springers and a couple of high-class Welsh Springers. It was so good to see minor spaniel breeds, like the admirable Field, the bustling Sussex, the distinctive Irish Water and the handsome Clumber, although I'll never get used to seeing a sporting spaniel at the weight of the show Clumber. The only gundog I saw struggling with the heat was a heavily-skirted American Cocker Spaniel; I really would not wish to take one home after a long day in the mud! I wonder too about the wisdom of breeding a dog with such a deep and abrupt 'stop'; it has never been anything other than a man-imposed feature and I know of no vet who favours it. Does a gundog actually need such a feature? Is it a benefit or a disadvantage? If it is desirable, why does no other gundog breed gain from it? The retrievers have long been my favourite gundogs, their popularity is richly deserved but that has its downside. There are some top-class retriever breeders in Britain but the widespread appeal of Labs and Goldies has diluted the quality. A modest retriever breed like the Curly-coat and a workmanlike one like the Chessy always seem undervalued by the public. Such under-rated breeds need our support and would benefit from greater field use. At this show there were some disappointing Flatcoats, a whole ring full of over-coated Goldens and several rings full of overweight Labs. Sportsmen may not be surprised by this but many country dwelling gundog fanciers unacquainted with working stock buy their pet gundogs from kennels willing, it seems, to show off their flawed dogs to the world in this way; what ever happened to 'show condition', or, for that matter, owner-pride? Thinking I might have been over-critical, a day or so after the show I went into my archives and consulted the critiques of the gundog judges at Crufts in recent years. The Kennel Club boasts that here you find the best of the very best; what did their appointed judges report? 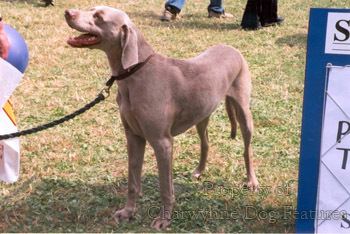 Here are some judgements: Crufts 2004, Weimaraners - "...so many of the dogs were in soft condition and lacked muscle tone...short steep upper arms were the norm". Flat-coats - "We still have too many upright shoulders, short straight steep upper arms...Mouths are another big problem..." IWS - "I found too many short necks, upright shoulders..." Sussex Spaniels - "How do some exhibits get past judges?" American Cockers - "I was dismayed to find so many poor fronts..."
These are the dogs which would have been the parents of the exhibits I saw in 2007; their faults are being perpetuated. If Crufts is reckoned to be the place to find excellence, the judges seem to have difficulty in doing so: Crufts 2005, Flatcoats - "...bad mouths and poor construction were only too evident..." Welsh Springers - "Movement varied from being correct and positive to downright unsound. This is due almost entirely to bad construction. Short upper arms, no depth of chest..." Crufts 2006, Clumbers - "Truly I was disappointed by the number of unsound exhibits..." Labrador dogs - "I was appalled at what some people had qualified..." In other words, there were dogs at Crufts without quality. 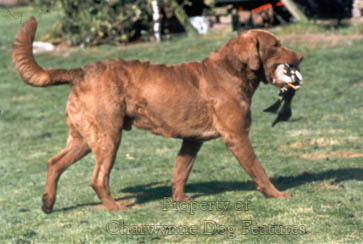 After the 2007 show, judges in five gundog breeds reported poor movement. No doubt such exhibits are to be bred from and their faults passed on. It is lazy thinking to argue that sportsmen know where to get a good gundog, so what's the problem. Our famous gundog breeds deserve the loyal support of knowledgeable dogmen and should not be abandoned to show ring incompetents. Of course there are really good British gundog breeders, quite capable of producing outstanding dogs. But what about the mainstream system for perpetuating the gundog breeds, our native gundog breeds especially? I saw better Flatcoats in Finland a few years ago than those at the Bath show. But their breeding system and judging method is so superior to ours; it clearly produces better dogs. And so we muddle on, with the Kennel Club boasting about 'the best of the very best' being on parade at Crufts, despite what their own judges are saying. Perhaps every gundog breed needs to mirror the work of the Working Clumber people, the satisfaction of seeing a working anatomy restored in so many breeds would surely delight the heart of any true gundog devotee. True type arose from function. Working and pastoral breeds too were on parade at the Bath Dog Show, although their allotted day was a wet one. It was beguiling to see mountain dogs, highland sheepdogs, sea-rescue dogs, snow-rescue dogs and sled-dogs not being risked out of doors to brave the elements! Those who work their dogs, whether in the shooting and hunting world, on the high pastures of mid-Asia or central Europe, in the arctic wastes or on the seaboard of eastern Canada, would have wondered why such dogs were bred so painstakingly over several centuries to withstand nature's vagaries. Has it really come to this, they might enquire, when working breeds can't venture outside on a rainy day. Perhaps it was the lack, any more, of a rainproof coat in some breeds. But there was no shortage of coat on the various Scottish collie breeds restricted to the marquees. The value to the dog however of such luxuriant coats was difficult to see on such a day. 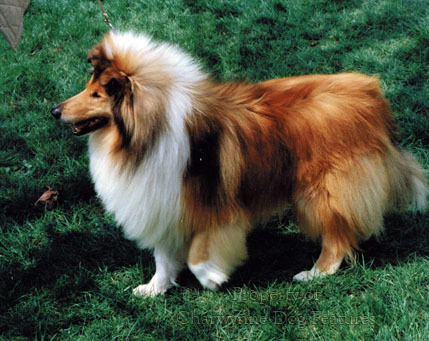 The breed standard of such breeds is fairly clear on coats: Rough Collie - fits outline of body; Bearded Collie - Length and density of hair sufficient to provide a protective coat and to enhance shape of dog, but not enough to obscure natural lines of body. Both breeds were on parade at this show, with long heavy coats totally obscuring the natural lines of the body, certainly not fitting the outline of the body. These two breeds were being exhibited in wholescale defiance of their own breed standard, and they were judged, allegedly according to the standard, and they were awarded prizes with such an exaggeration. Yet the Kennel Club claims that by the wording of the breed standard alone, they can counter wanton intentional exaggeration of physical features in breeds recognised by them. How on earth can such an argument be credible in these circumstances? Faulty exhibits shouldn't even be judged. A comparable situation arises over the condition of eyes in some breeds. The breed standard of the St Bernard now states that eyes should not be deep set and be without excessive haw. There were St Bernards at this show with deep set eyes and excessive haw; they were not asked to leave the ring and were judged despite breaching their own breed standard. The breed standard of the Mastiff lays down that the eyes should show no haw. There were Mastiffs in the ring here displaying obvious haw and were judged despite this. Their breed standard also requires small ears; not one Mastiff entered had small ears. Firstly, what really is the point of a breed standard if breeders and judges ignore it? Secondly, how can the KC claim that the answer to exaggerated features lies in the wording of the breed standard? Another answer is a show-ban on them. Those show ring judges who write honest informed hard-hitting critiques after their appointment can contribute a great deal to a breed's development. But in doing so, are they becoming, in the KC's eyes 'anti-pedigree dog'; surely not. The harm is done, not by their words but by no action being taken to benefit from them. Who oversees each breed? Is it the breed clubs? Is it the breed council? Is it the KC? Breed clubs generally carry out the wishes of their members; that's not always to the benefit of the breed. Breed councils have no executive power; shouldn't they? There is just no format for the improvement of a breed, no mechanism for taking on board constructive criticism and then acting for the benefit of the dogs. If any body seeks power, it must be prepared to assume responsibility. The critics of the pedigree dog industry may in the end prove to be its best friend. Who are the breed guardians? Who is reacting to alarming judges' reports for the benefit of the breed? Does every breed club truly act in the best interests of the breed? 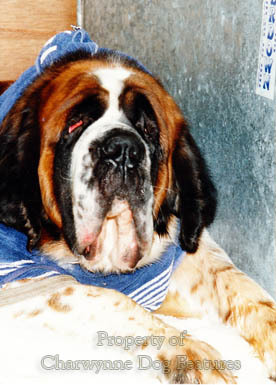 If clubs are the breed guardians, which of them is taking action to reduce sunken haw-stricken eyes in the Mastiff and St Bernard? And who isn't insisting that they do? Quis custodiet ipsos custodes?